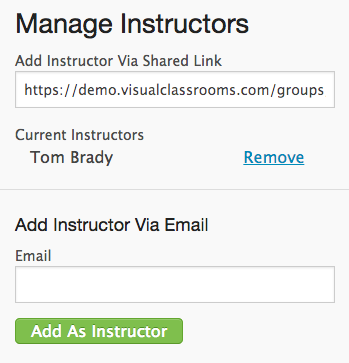 Click to add and remove instructors to your group. 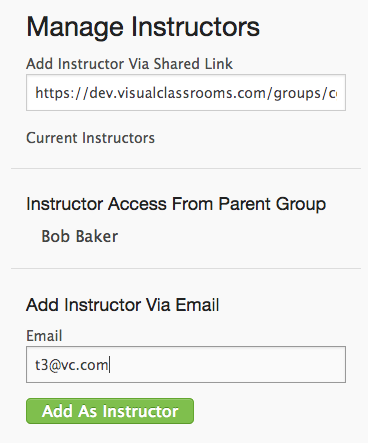 You can add instructors either by sharing the group’s link or adding the instructors’ emails. 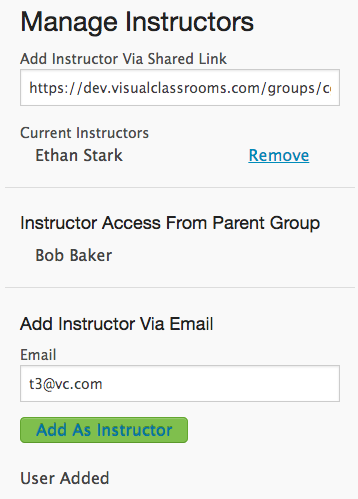 You can remove instructors by clicking . In the Groups homepage, click for the group you want to manage. Click for the section you would like to assign a TA or teacher to.